While we are still in the middle of winter here in Europe, we can’t wait for our plants to wake up from hibernation. 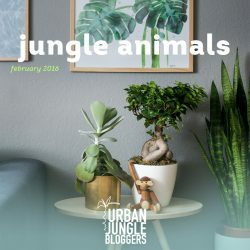 We’re literally dreaming of lush green jungles bathing in sunlight and sipping our morning coffee on the balcony, surrounded by our green friends. 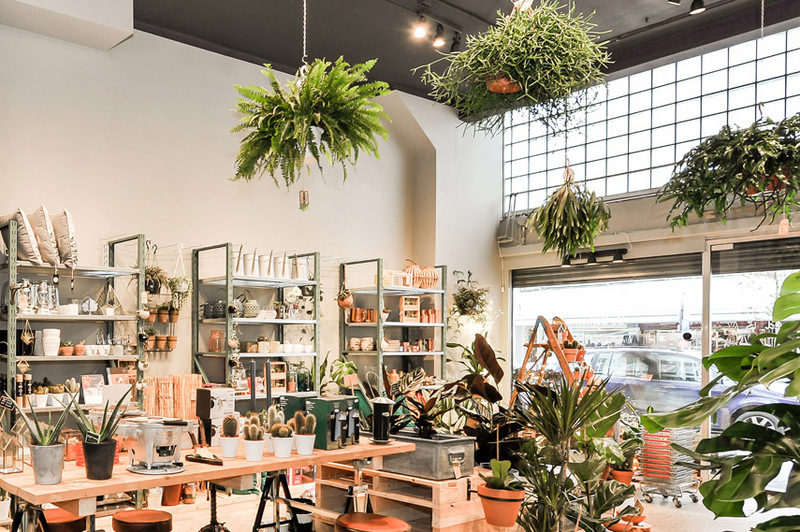 Speaking of balconies: do you know this cool store in Amsterdam, that specializes in everything for a green balcony? 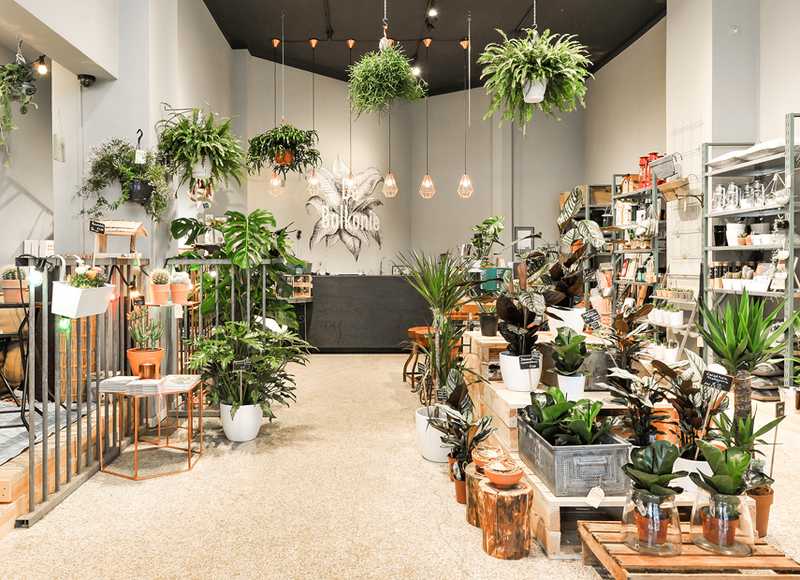 At De Balkonie you will find a nice selection of balcony and indoor plants, as well as furniture and accessories that fit the specific sizes and conditions of urban balconies. And the team behind De Balkonie also offers bespoke styling and plant care consulting to keep your balcony happy and healthy! 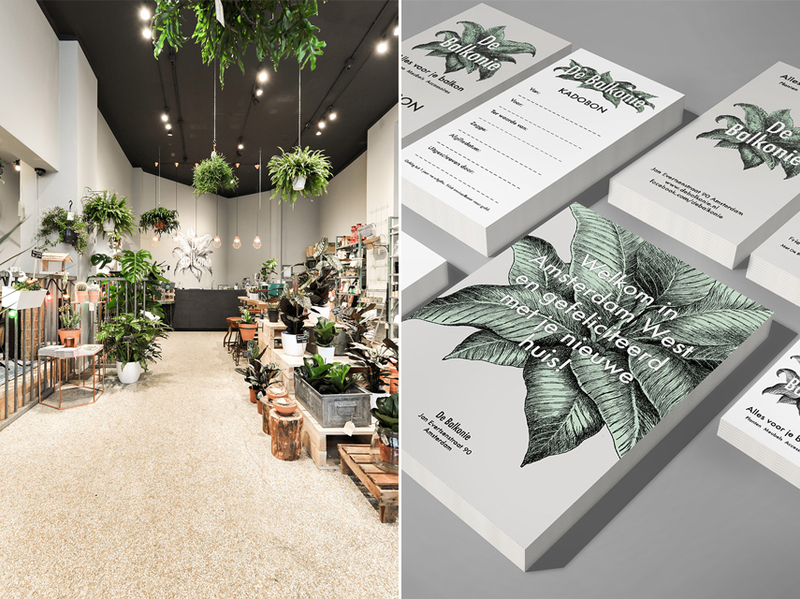 For the design of the store, Studio Mokum, the design studio that designed De Balkonie, tried to find a casual look and feel that would match the personality of the couple that own the store. The beautiful sand color terrazzo floor was restored and the walls were painted in a soft grey. Copper green vintage shelving units on the right side display planty accessories. Two alcoves on the right show the furniture in different balcony settings on a wooden podium made of small pallets. The islands in the middle of the store are also made of pallets and display plants and promotions. 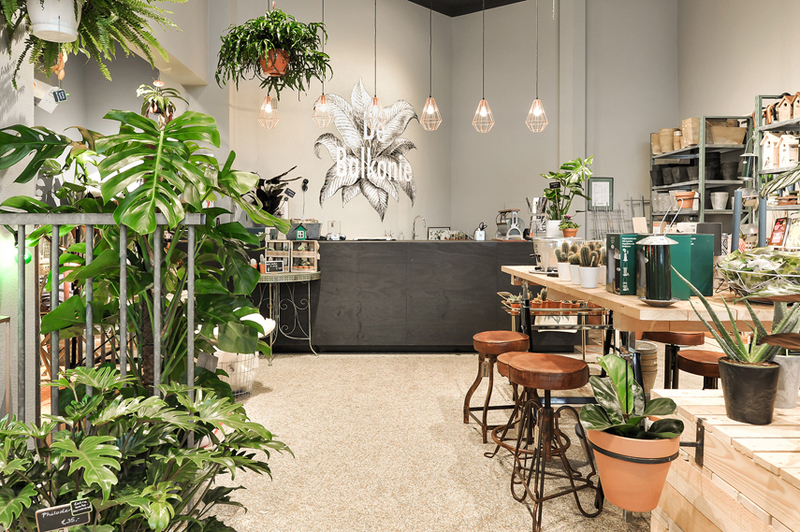 The identity of De Balkonie is built around the illustrations Peter-Paul Rauwerda, a friend of the owners. 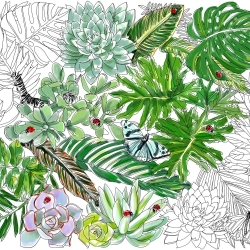 Peter-Paul created a series of plant illustrations in elaborate pen drawings which are used in the logo and other communication items of the store.